The Oak Creek Collection is a beautiful collection of bedroom pieces that carry a natural look and feel. The collection includes two unique styles. 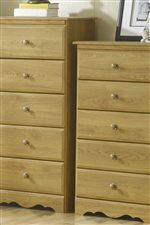 One style features drawers with a uniform array of simple knob pulls. 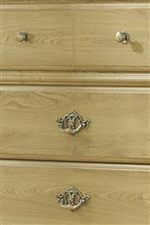 The second style has drawers with two unique styles of pulls on the same piece including knob and bail pulls. Both styles include a dresser, nightstand, and chest of drawers. 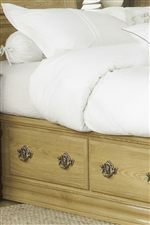 Oak Creek also has a vast selection of bed sizes and styles. From sleigh to bookcase, this collection has a perfect bed for any bedroom and most styles include storage options like trundles and drawers. 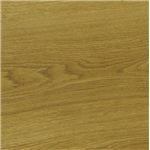 The light color of its finish gives Oak Creek a friendly, inviting air that makes it a perfect fit for any home. Browse other items in the Oak Creek collection from AHFA in the area.